Activate your social media community through an engaging social media campaign. Tell a unique and interesting story tailored to your followers and goals, then watch as they make it take off. Once you have a social media community up and running, planning a social media campaign is the best way to attract followers and ignite engagement. Social media campaigns are the catalysts which bring communities to life. In a perfect world, marketing campaigns would not be exclusive to just social media, TV, print, or digital but all channels would work together to support a social goal. As brand teams become savvier, more and more marketing campaigns are becoming social at the core, forcing all marketing tactics to work together to motivate a response from the target audience. For the most part, though, marketing tactics remain autonomous. A successful social media campaign needs a strongly defined social media community. A strong community is built based on your business objective and research conducted to generate insights to inform your strategy. Using that information, identify channels which will allow you to reach your target audience effectively. Most importantly, define performance benchmarks which will allow you to measure the success of your social media community and campaigns in the future. Once your community has been built, identify the campaigns which will activate the social component. The best way to do this is to commit your brand to achieving a clear goal. This goal should be identified through the insights generated during your research. Working through your community to achieve that goal will motivate your community to support that change. Ultimately, its support should create positive associations between your brand and the goal. Be sure to think about what might motivate your audience to support that goal. Are they personally affected by a serious disease? Are they protecting the future health of their children? Are they proud to identify with a specific cause? The motivation will define their level of interest in your campaign and, in turn, the ways in which they are willing to become involved. Here are a few examples of campaigns working against a clear goal, asking for a response from their established communities. I am sure everyone is aware of the very successful viral campaign which took over everyone’s Facebook newsfeeds this summer, called the Ice Bucket Challenge. This campaign was popularised by former US baseball player Pete Frates, who was diagnosed with amyotrophic lateral sclerosis (ALS, known as MND in the UK) in 2012, as a challenge raising awareness, and donations, for ALS. The combination of the use of video media, sharing features on Facebook, and the hashtag #IceBucketChallenge moved this campaign into an international phenomenon. I realise this campaign was organically grown and not launched by the ALS Association but it is a great example of the strength of leveraging simple Facebook features and established communities to achieve a goal. There has been an abundance of criticism of this campaign but, at the end of the day, the facts are: 2.4 million ice bucket-related videos have been posted on Facebook, awareness of ALS has been increased hugely, and over $98.2m has been raised for research into the disease. A second example of a unique campaign took place in 2013, when the Women’s Memorial Hermann Hospital staff were the first to fully document a caesarean section through what has been called a ‘Twittercast’. Memorial Hermann covered every part of the birth, from preparation to delivery, and doctors and staff answered questions and comments posted from social media users in real-time. The hospital shared information, photos, and video related to the procedure across their various social media channels. All the content was then aggregated using Storify to create and educational experience for expecting families as well as healthcare providers around the world. This campaign was hugely successful. It motivated 83,000 people to watch the birth globally. A total of 2,000 comments were sent to Dr Levin during the surgery; 217 million people saw the story on TV, print and online and 21 million impressions were made during and after the event, from 80 countries. Earlier this year The World Hepatitis Alliance launched a campaign ahead of World Hepatitis Day (28th July) to raise global awareness of the disease. While the campaign attracted a lot of support globally (which can be seen on the campaign website’s interactive map), the user-generated content was incongruent with the campaign goal. I would attribute this to the fact that the goal – which was to send pictures that make you think twice – was probably too challenging for the general public. The best campaigns set simple tasks; follow a journey and upload a video of yourself answering an easy ask. Ensure your social media campaign is simple enough for a school child to understand. The easier it is for your target audience to become involved, the more likely they will be to offer valuable content. The last campaign I want to highlight here is from the Livestrong Foundation. Its social community initiative, Cancer Hacks, offers an opportunity for people affected by cancer to upload tips and knowledge about how they overcame personal obstacles related to cancer. Others can then share those hacks across their Facebook and Twitter accounts or start a conversation about the hack within the Cancer Hacks content hub. This initiative has been hugely successful at crowdsourcing verified solutions for cancer patients and sharing that content in a simple and useful fashion. The whole experience brings great visibility to the Livestrong Foundation and demonstrates its concrete understanding of the cancer patient journey. You may choose to follow the example of one of these social media campaigns or identify your own creative solution. Either way once your campaign has been launched, sit back and watch. Engagement and success is dependent on how relevant the campaign is for your target audience. Once the campaign goes live, it is crucial to pull off regular reports to measure success. Success should be compared to the benchmarks identified when you first built your social media community. Draw out learnings and successes to create increasingly valuable campaigns in the future. Joyce Higgins is one of the original members of the social media team at Digitas Health LifeBrands in the EU. Creative thinking to provide innovative solutions to clients around social media has driven Joyce for the last two years. Joyce is a Londoner for now, joining the Digitas Health LifeBrands London office three years ago, but she is a New Yorker for life. She started working for the Digitas Health LifeBrands’ New York office five years ago. Earlier this year, she took a short career break to travel in Asia where she took the opportunity to photographically document the experience through her blog and Flickr account. The great thing about social media experts is they are easily researchable. Take a look on any social media channel to see more about Joyce (@jcahiggins). 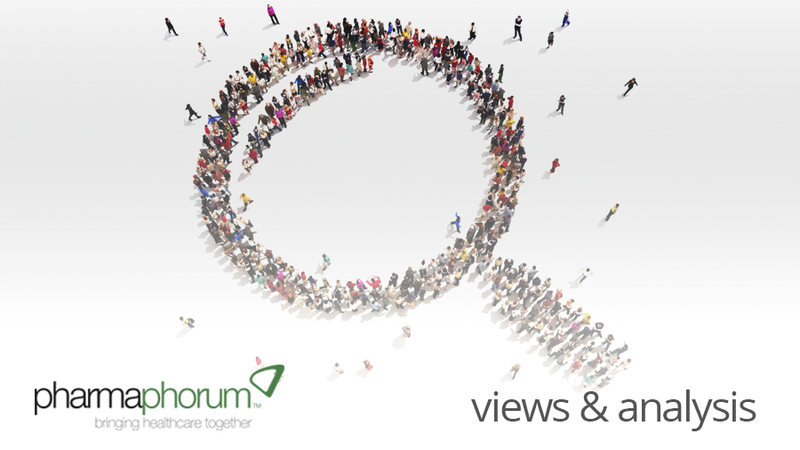 Have your say: What sort of social media campaign would work for pharma?